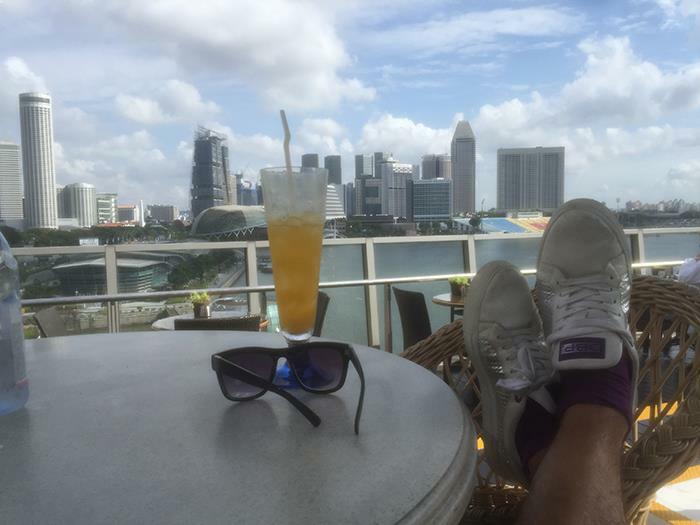 The last day we spent in Singapore we tried out 8 more rooftop bars. Beginning with Marina Bay Sands and FLIGHT at Sky on 57 the first two days, our requirements of the Singapore rooftop pools and Singapore roof bars, were quite high. We arrived at Lantern around 11 AM. The bar wasn’t open (opened 12 PM) so we decided to take a espresso some water and a orange juice. The bill landed on solid 30 Euro. Coffe and water was even more expensive then beer and wine at this place. 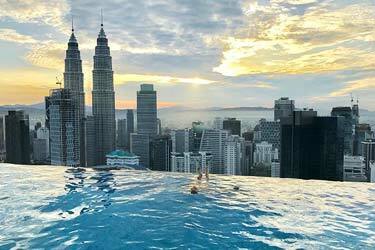 But the view, the swimming pool and the nice furnitures made it all worth it. 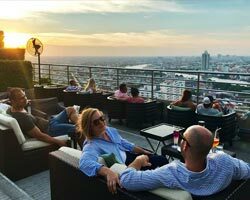 Lantern is a stunning rooftop bar in Singapore. Lantern at Fullerton Bay Hotel. 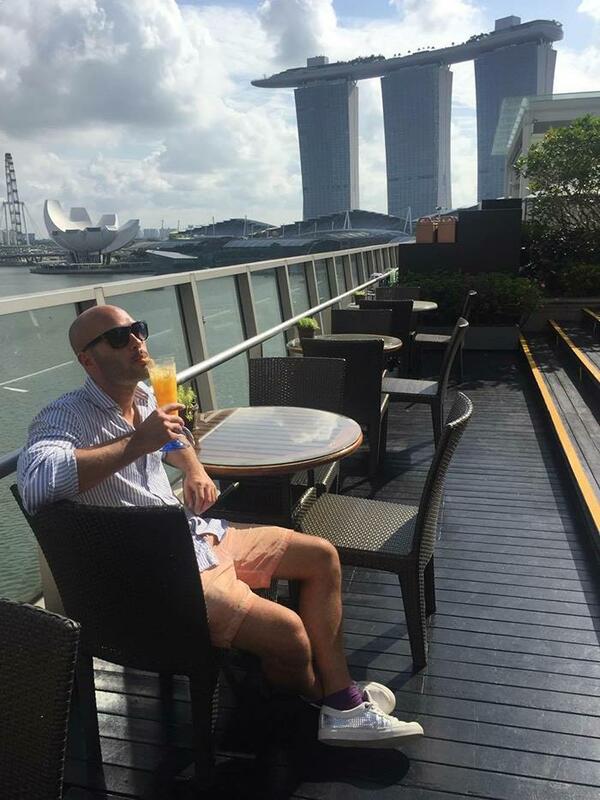 Juice, shoes and sunglasses with a view. 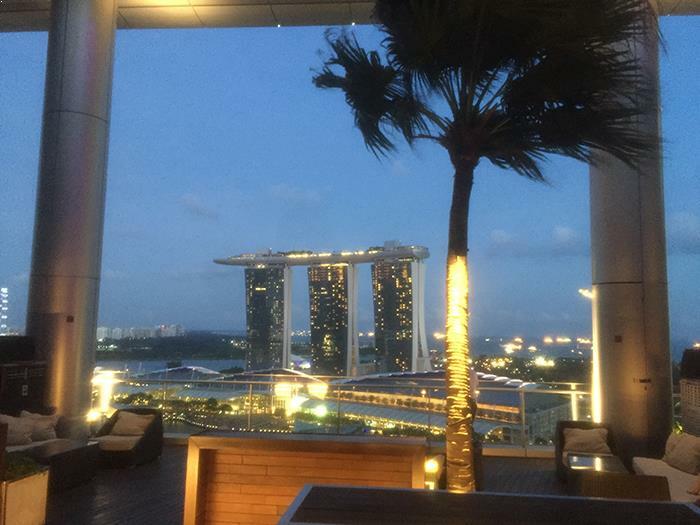 Nice view over Marina Bay Sands. 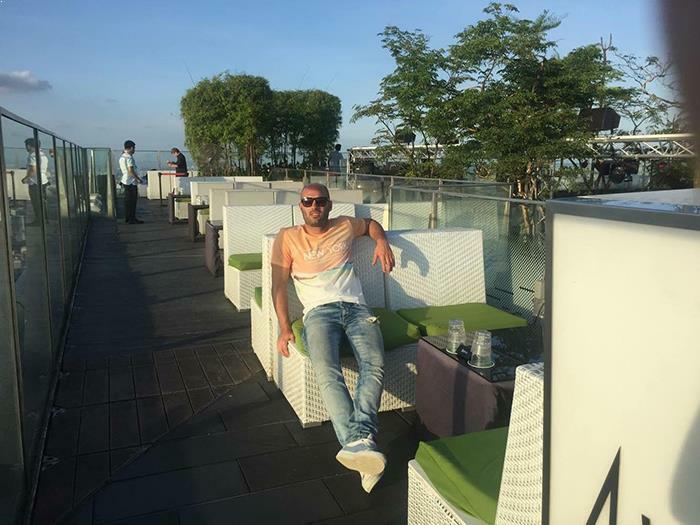 Our next stop was LeVeL33 located on the 33th floor with breathtaking views over Marina Bay Sands, the city skyline and the ocean. At this point we were very thirsty for some beer. And this was the perfect place for just that. The worlds highest brewery. So we took the beer tasting plattern. My favorite was as usual the lightest one, but I also liked the most dark wich had some taste of coffe and chocolate. 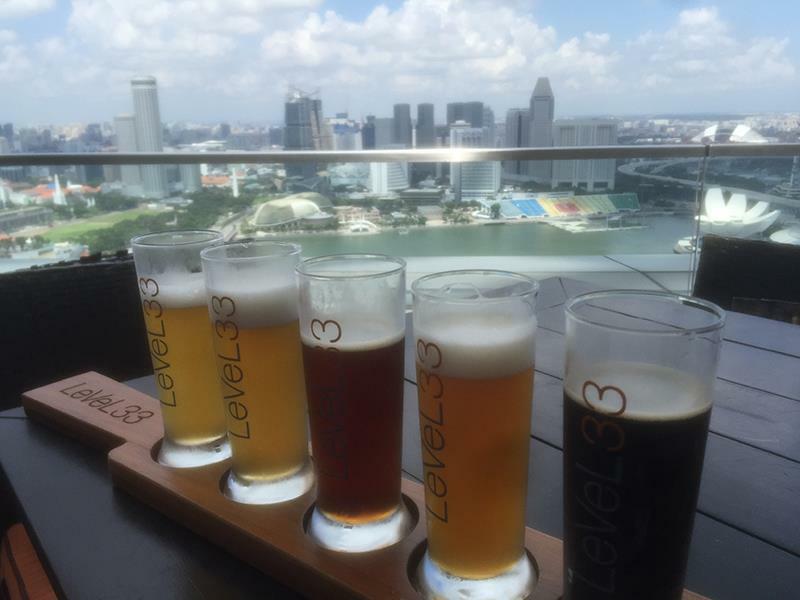 Beers with a view at Level 33. 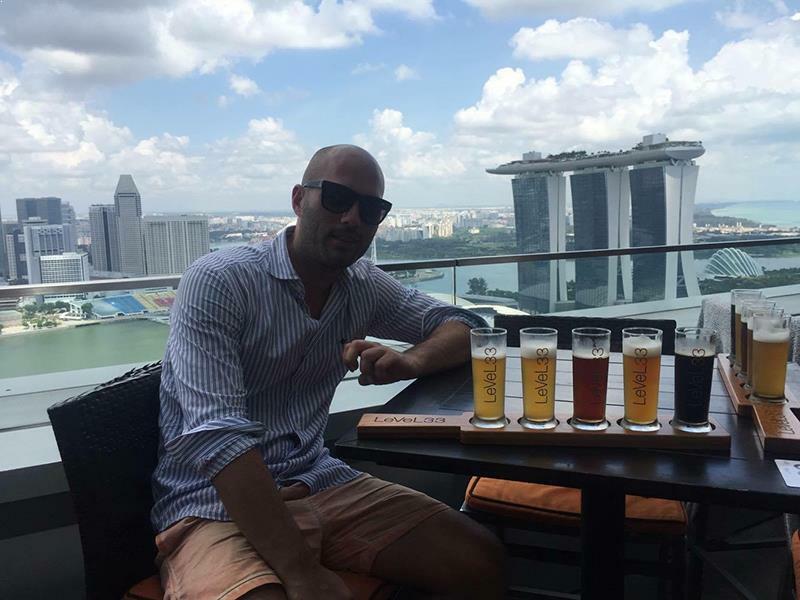 Beer tasting at Level 33. 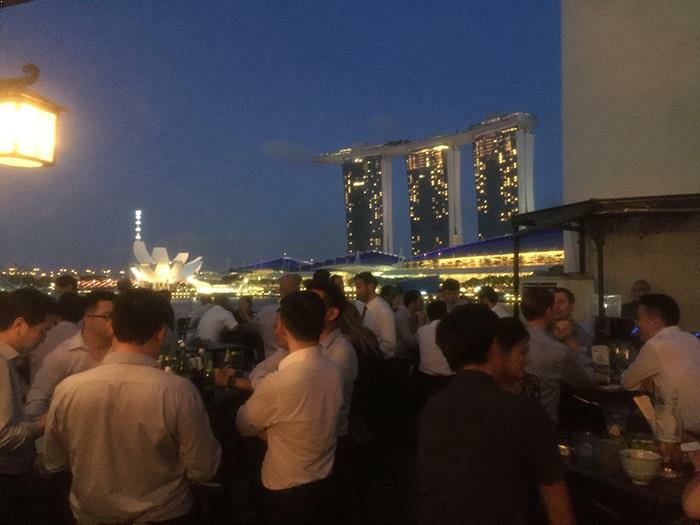 The most central located rooftop bar in Singapore. Right in the city center with mighty views among the scy scrapers. 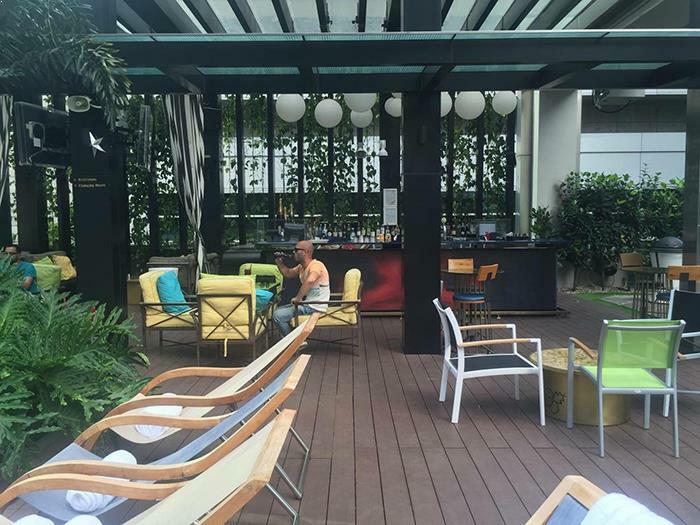 A luxurious rooftop bar with a nice swimming pool and comfy lounge furnitures. Here we just had a beer and a quick chit-chat with the bar crew. Cold beers at Hi-So at Hotel Sofitel So. 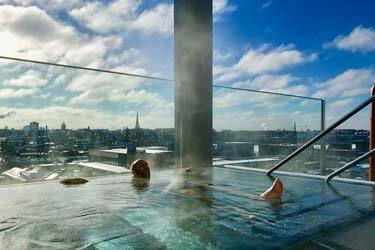 Relaxing at Hi-So At Hotel Sofitel So. 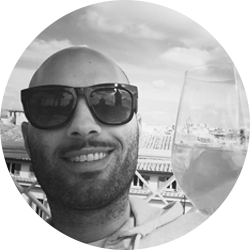 A nightclub and rooftop bar that a friend of a friend of ours run. 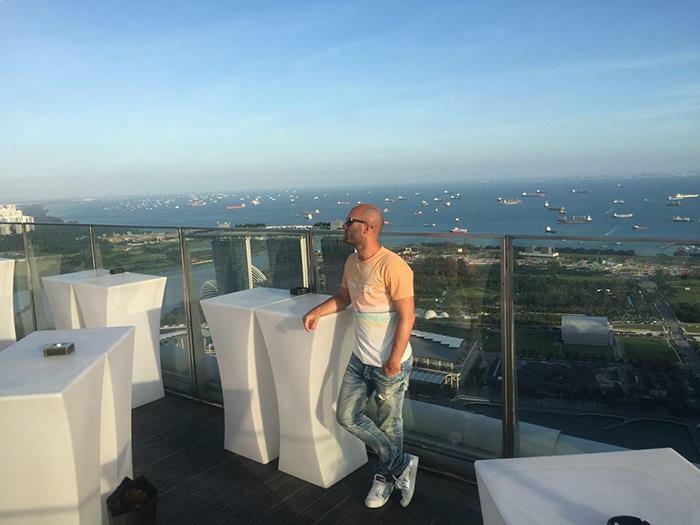 Simple decor with amazing 360 degree views over all of Singapore. We were here in the afternoon so unfortenately we missed the great party that takes place here every friday and saturday. They also have one oyster restaurant and one fancy meat restaurant. Unfortenately we didn’t have time to try them out either. 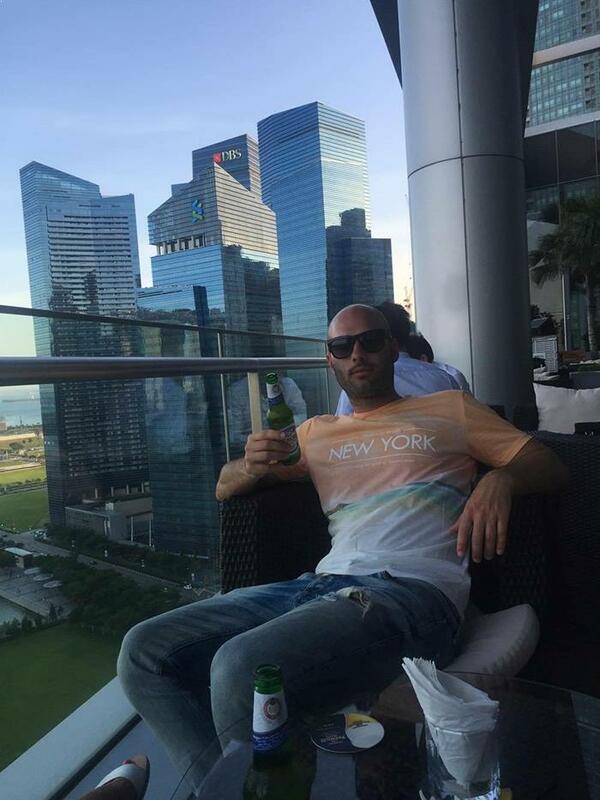 Just one beer and then of to the next rooftop bar. 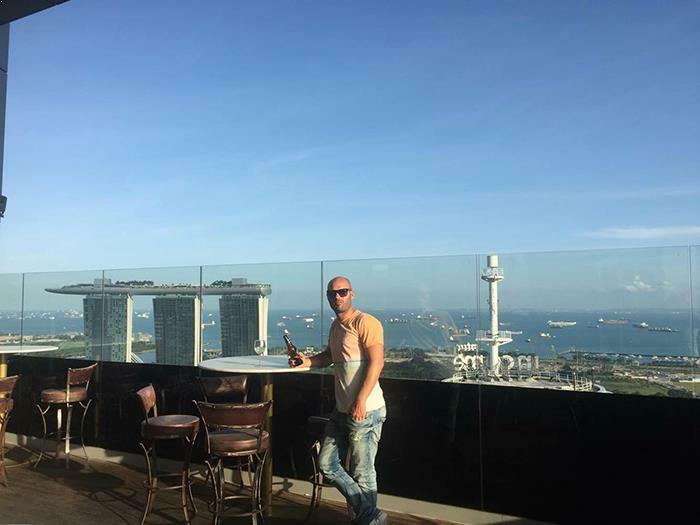 One of the worlds and Singapores highest rooftop bar, 282 meters up. The 360 degree views from here are spectacular. Almost a little bit scary because of the height. 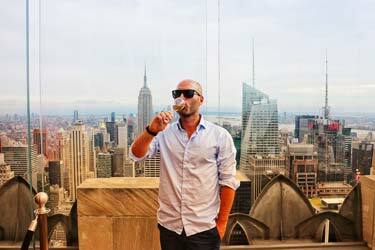 To get up here you have to pay a fee if your not on the guest list. The decor is stylish and all in white. 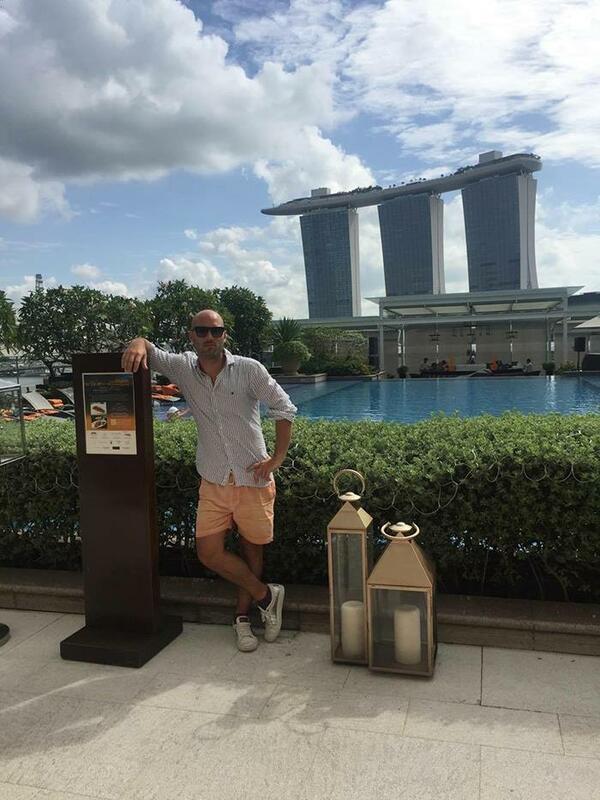 A must to visit when in Singapore! Magical 360 degree views over Singapore from 1-Altitude. Waiting for drinks at 1-Altitude. 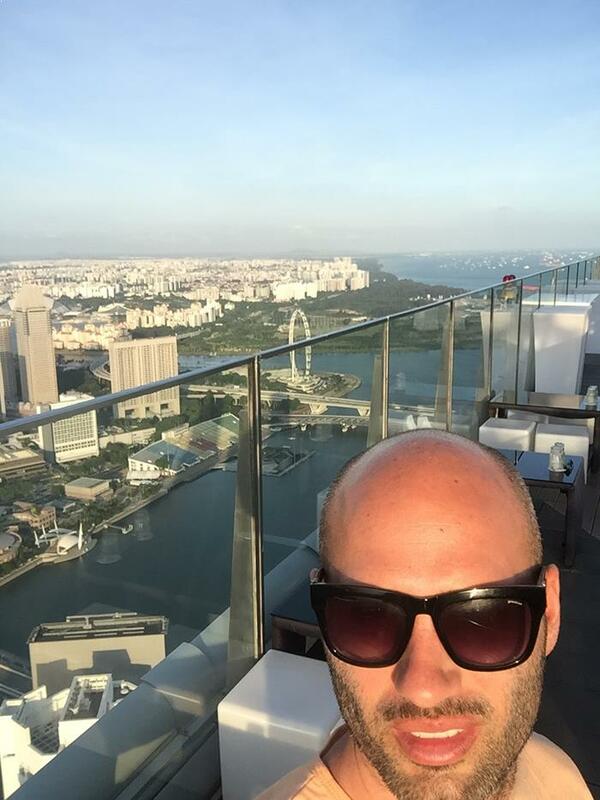 Rooftop selfie at 1-Altitude with one of Singapores highest view points. 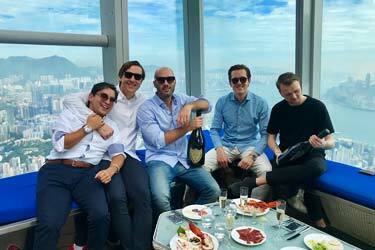 At Me@Oue we started to get a little bit hungry. We ordered some sushi, edemame beans and Peronis. Ok food but nothing more. 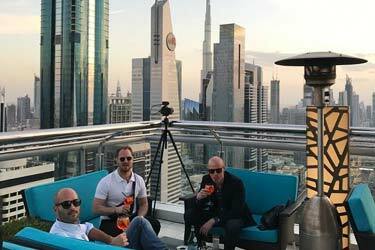 The view and comfy furnitures was the best thing about this rooftop bar. The lights in Singapore is very cool when the darkness falls. To bad we only had the crapy iPhone camera to take pictures with. A classic afterwork place with lot’s of guys in white shirts :). 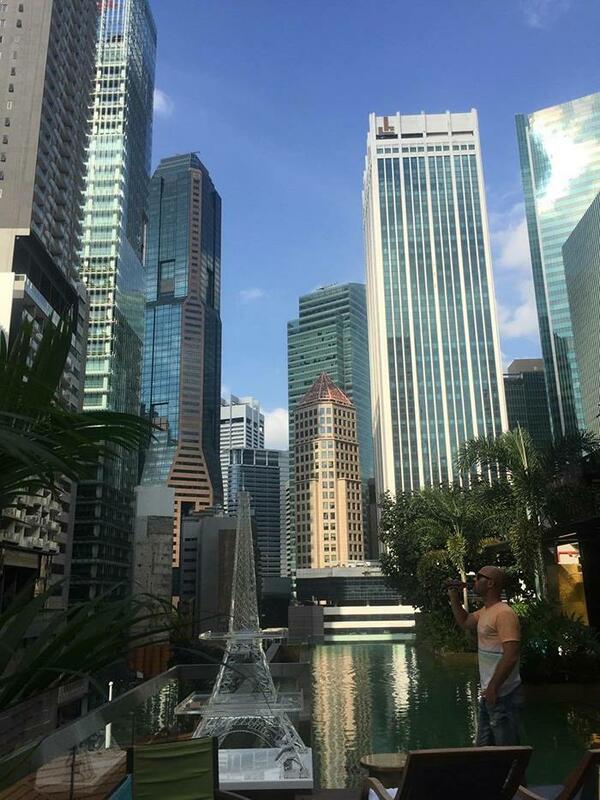 The location is right next to the financial area of Singapore. So exprect a lot of people coming here just around 7 PM. When we arrived there were a lot of people here, so make sure to be in time to get a nice seat. The prices here were a lot lower then their neighbor Lantern at Fullerton Bay Hotel. Lot’s of white shirts at Kinki Rooftop. 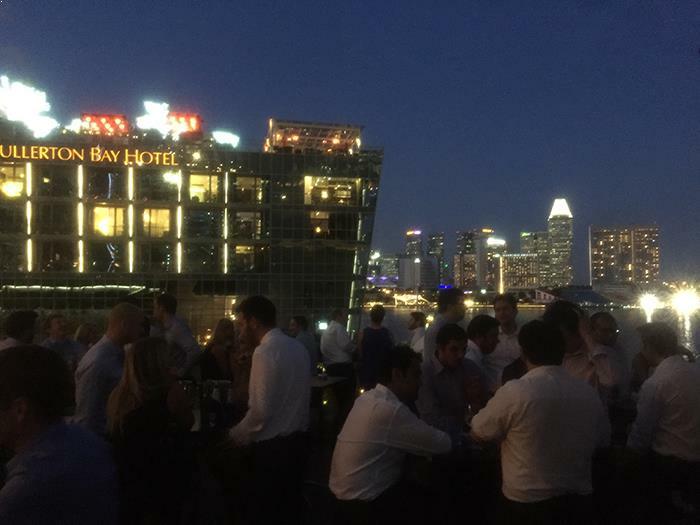 Our last rooftop bar in Singapore for this time. Sorry for the bad quality of the picture. 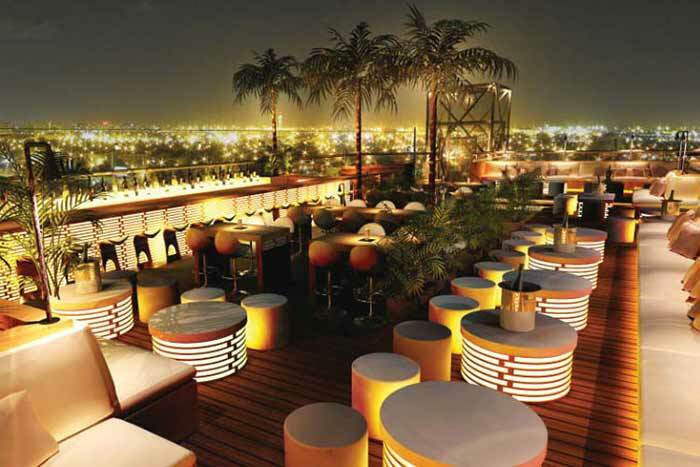 Orgo Bar & Restaurant was a cozy rooftop on the 4th floor of a shopping mall. Despite the low altitude the views were very cool from here during night time. We rounded of the day in the same way as we started; with an orange juice, coffe and water. 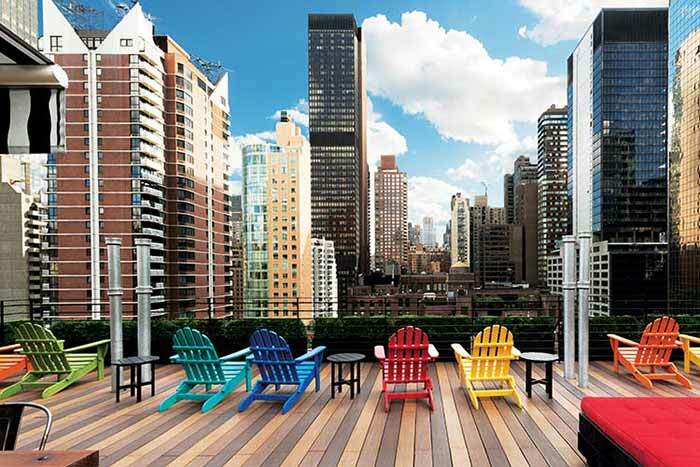 Quit expensive here to, but with a view to die for you forget the money you spend pretty fast. 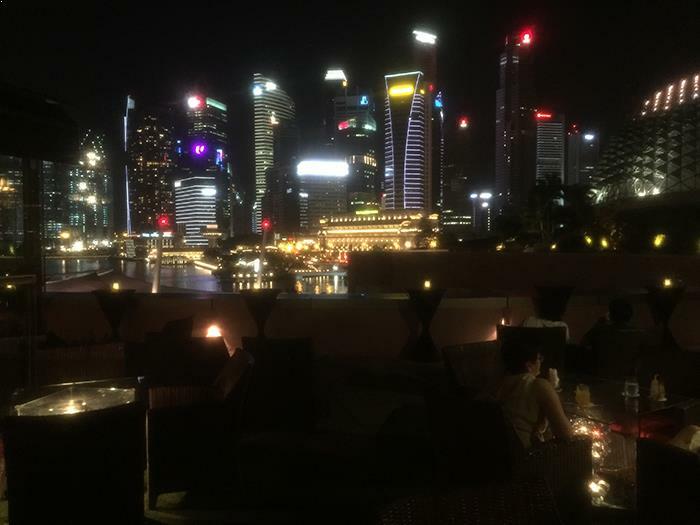 Night view over the Singapore skyline from Orgo Bar & Restaurant. This was all from our trip to Singapore. 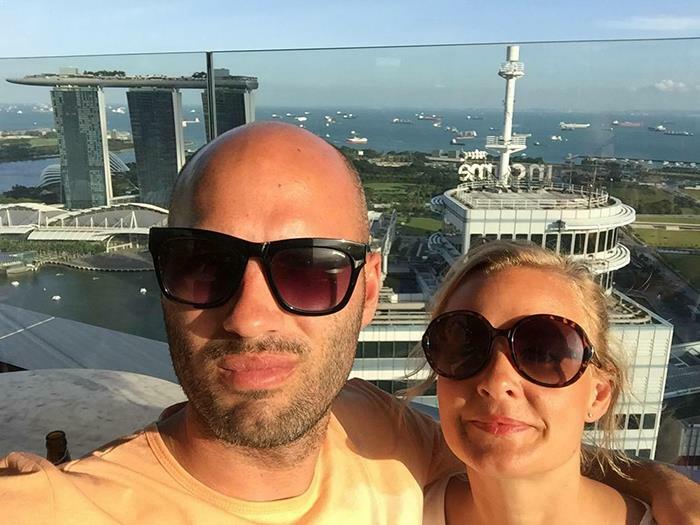 We had some amazing experiences with Marina Bay Sands, Sky on 57 and LeVeL33 as the three best if we have to choose.